Many website owners or webmasters – myself included – have put off migrating their WordPress sites to HTTPS. One because it’s seen as a hassle, and two because of the fear of breaking the site in the process – in my case at least. But thanks to Cloudflare, there is a quick and painless solution that is completely free, which even includes free SSL certificates. 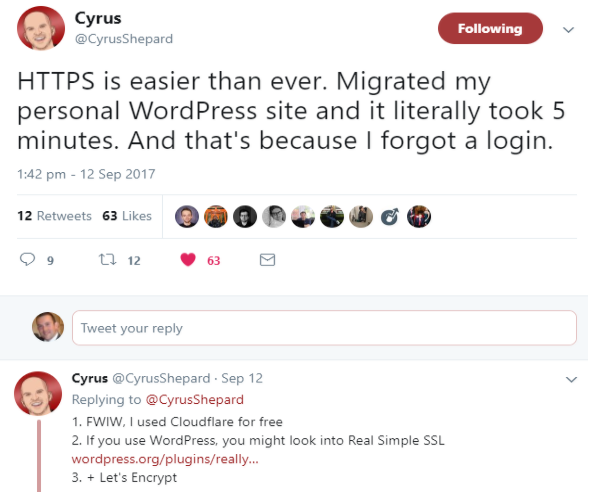 This post will cover how to migrate WordPress to HTTPS using Cloudflare. It really is quite easy. Just before I go into how to migrate to HTTPS using Cloudflare, if you haven’t moved to HTTPS yet you may want to consider getting a move on and weighing up the benefits of HTTP vs HTTPS. Upcoming browser changes may result in your site returning insecure warnings to users if still on HTTP, which can only be a bad thing. According to Google, you may also see a ranking benefit once on HTTPS, although I wouldn’t count on it. Either way, HTTPS is not going away, and I’d encourage you to get it sorted sooner rather than later. That was enough for me to take the plunge. Before I started though, I backed up my WordPress site and I’d encourage you to do the same. Just in case anything breaks a backup will mean you won’t be agonising over any lost work. There’s plenty of decent plugins that will do this for you and a decent guide can be found here for using BackWPup. Verify that all of your DNS records are listed correctly – in most cases this will be the case so you won’t need to change anything. To update your nameservers you need to login to your hosting provider where there will be a setting to do this. Rather handily, Cloudflare have provided a guide on how to change nameservers with each major hosting provider, so if you’re unsure how to do it you should find help here. Once you’ve successfully changed nameservers, head back over to Cloudflare and click ‘Recheck Nameservers’. It will then take some time – up to 24 hours according to Cloudflare but much less in my experience – to switch over. But don’t worry, you won’t be losing any traffic during this time. Eventually, you should see something like the below showing that the site is now active on Cloudflare. Seeing as it’s WordPress, of course there’s a plugin or two available to ensure the migration runs smoothly. To prevent infinite redirect loops when loading WordPress sites via Cloudflare’s Flexible SSL system, install the Cloudflare Flexible SSL plugin. It only comes into play once Cloudflare is serving HTTPS traffic for your site, so can be installed before the switch is actually made. We’re now ready to make the switch and instruct Cloudflare to redirect all HTTP requests on our site to HTTPS. Head over to the ‘Crypto’ section on Cloudflare and you’ll find the ‘Always use HTTPS’ button below, which by default is set to ‘Off’. Simply change it to ‘On’. Cloudflare will now begin serving your content over HTTPS, and will implement redirects from HTTP requests. If after you’ve migrated you’ve got some mixed content warnings, there’s another great WordPress plugin that will solve the majority of mixed content issues. You may find that the plugin doesn’t fix everything (I had a few rogue images still served over HTTP that needed to be updating manually), but it should do the bulk of the work for you. And that’s it. 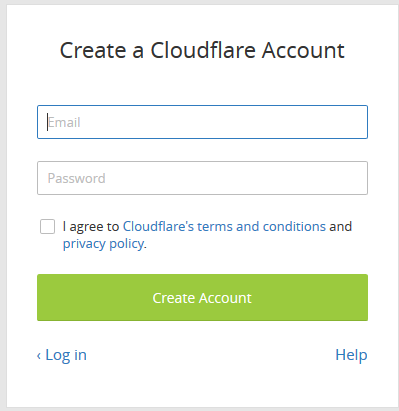 If you follow these steps you will be able to migrate to HTTPS for free using Cloudflare. Happy migrating!